Wedding planning means fun, dynamism and creativity, but it’s not only this! There are so many stressful details and boring stuff too. For example, if you always dreamt a wedding abroad, maybe a wedding in Italy, you will have to find a good accommodation for all your guests or you will need a solution for the transportation, or payments! Surely it’s too much for an only person, for this reason a wedding planner will be the best option. Diamante – Your Wedding in Italy’s team will assist you to keep your experience smooth and fun. If you are looking for an accommodation in Italy or abroad, we will help you step by step, starting from the research and the booking activities, you won’t stress yourselves speaking with tour operators or travel agencies,everything will be cheaper and easy thanks to our team. We could easily contact each structure or agency you want and we will provide you a full time assistance. If you need a transfer from airport by hotel, or from the ceremony venue to the banquet location, in all Italy and abroad, we will deal with transport agencies and we will be able to organize all your movements. Even if you want to give to your guests a fantastic and exclusive Rome city tour, we could plan it and propose to you the best solutions. Precisely because caring about you means caring about your beloveds too, we may handle your guest list, making sure they all have the support required to participate in your wedding in Italy. Last but not least, you won’t think about payments. You just have to tell us your budget and we will handle all your payments respecting it, or rather, spending less. An incredibly perfect wedding day in Italy without stress and matters…seems it impossible? Well, you just have to give us your trust! 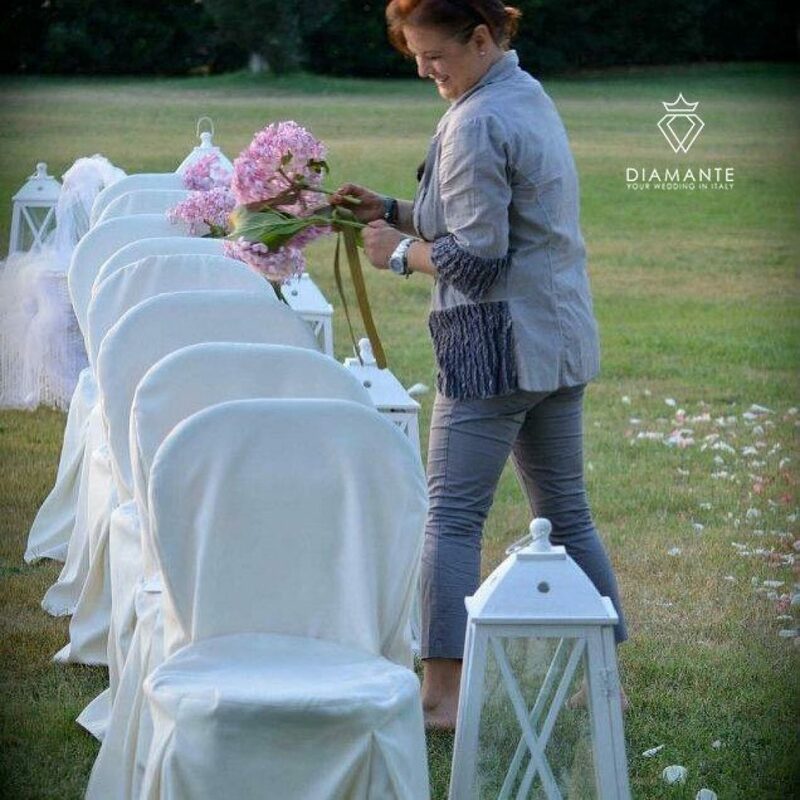 thanks to Diamante – Your Wedding in Italy, the impossible will become possible.